That won't affect the model, only the bounding box. Thanks for the reply. I finally figured it out. I was learning how to create models for this reason. I recall seeing a custom model folder somewhere. My one problem is that I can't seem to find the texture specs anywhere I look (all the wiki seems to say is ".png image"), particularly the size. Can anyone tell me the correct size of the .png image which I should be using for items (and perhaps a thing or two about the block textures)? It follows MC's Resource Pack requirements. Though 16x16 is the preferred. Hello! Could you add an interaction, for example, with ru_Ru.lang? I'll be very grateful! That'd just require whoever wrote the script to add it. 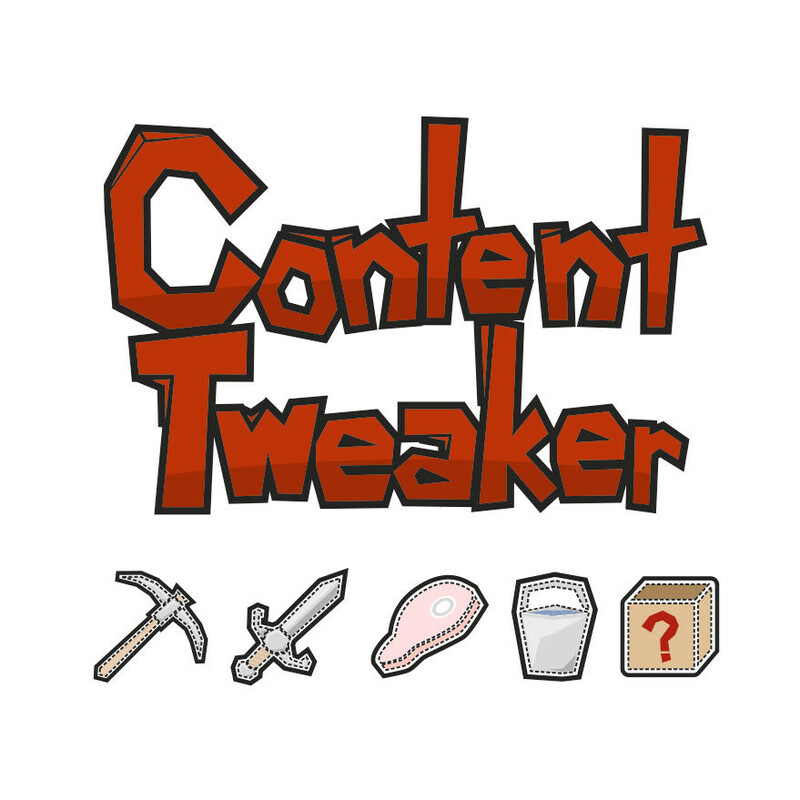 Contenttweaker fully supports Lang files. But СontentTweaker of replaces Russian letters with question marks. Do you have all the newest versions? I thought I fixed that bug. Yes, I have ContentTwaker 4.8.0. Can the problem consist in interacting with some mods or version forge? It's more likely it's that I didn't release the fix I did. Maybe. I'm looking forward to the new version! Hi! I have some problems reading the wiki... can someone show me an example of one fluid? I don't really now what I should do with the code. I've tried everything i can imagine but nothing works. EDIT: Nevermind guys, I just completed my script and it works! Hello, just wish to know is it possible to modify the transparency of custom fluids? I can't get ContentTweaker to read my script files. It's just skipping them.